Believes and faith into religion is something that gives you inner power to cope up with the challenges and problems of life and even afterlife. 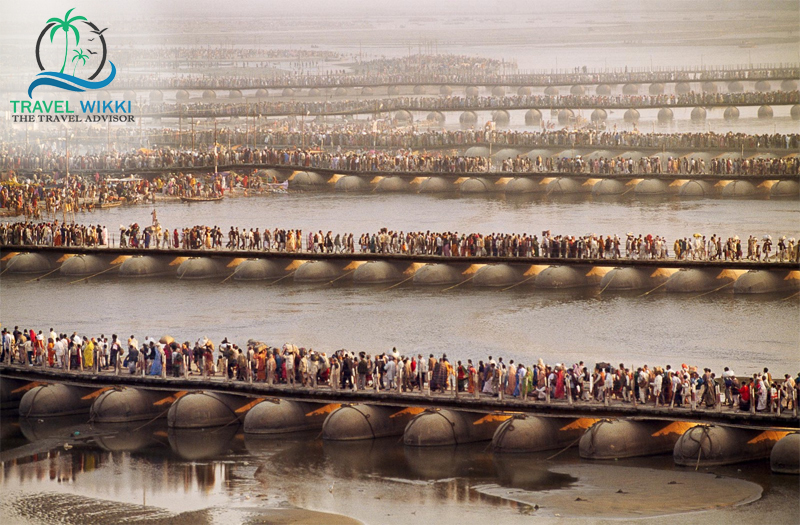 Kumbh Mela is the religious fair that takes place in India in a regular interval. There is believe in ancient mythology that after a long fight between demigods (Devta) and demons (Asura) the elixir for eternal life or the drink that makes one immortal appears in this earth and few drops fell into the earth in the places known as Prayag, Haridwar, Ujjain, and Nasik. So, each of the places are blessed with the holiness and purifies one’s soul from inside. 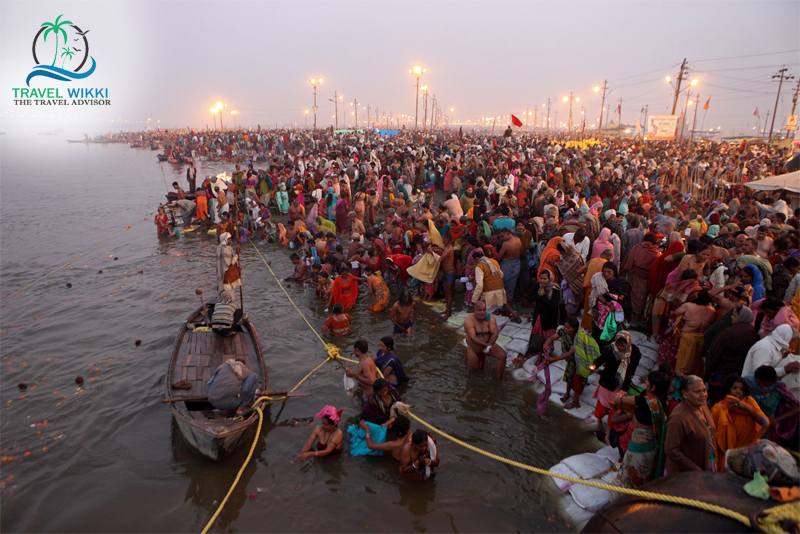 Millions of people gather in the place during Kumbh Mela and take bath in the holy river. By taking bath in the river, you can reduce your stress and feel the eternity in a greater extent. Normally Kumbh Mela is held after 3 years, Ardh means half Kumbh Mela is held after 6 years on Prayag which is situated in Allahabad and also in Haridwar whereas the Purna or complete Kumbh Mela is held after 12 years in the four places as we discussed earlier based on the planetary movement and the Maha Kumbh is celebrated at Prayag after 144 years. The calculation comes as after 12 Purna Kumbh Mela finally Maha Kumbh is celebrated. The dates are fixed depending upon the position of Sun, Moon, and Jupiter. This year Allahabad is selected for celebrating the Kumbh Mela. Once you heard the name of Prayag, you might think about the Triveni Sangam which is a meeting point of three auspicious rivers in India, Ganga, Jamuna and Saraswati. The three rivers at a point that makes the place holy and special for the devotees. From every part of the country and even across the globe, devotees come here to take part in the celebration. To be a part of the celebration you must know the dates of the fair. Yes, the celebration starts on 15th January and ends on 4th March which makes a huge gathering of devotees, Sadhus, and Rishis. Maha Kumbh Mela is something that is so important because it comes after 144 years and a normal can be part of it, once in his lifetime. Last Maha Kumbh was held in 2013 and the next will be held in 2025. Allahabad Kumbh Mela snan will be held on 15th January, 21st January, 4th February, 10th February, 19th February and 4th March. So, book your ticket today and be a witness to this great celebration taken place with a bang. The mind will get refreshed and body will purify by vanishing the sins. Kumbh Mela is supported by the present government and helps the people to stay safe within a huge crowd. Camps and rescue team are available to support in every step. 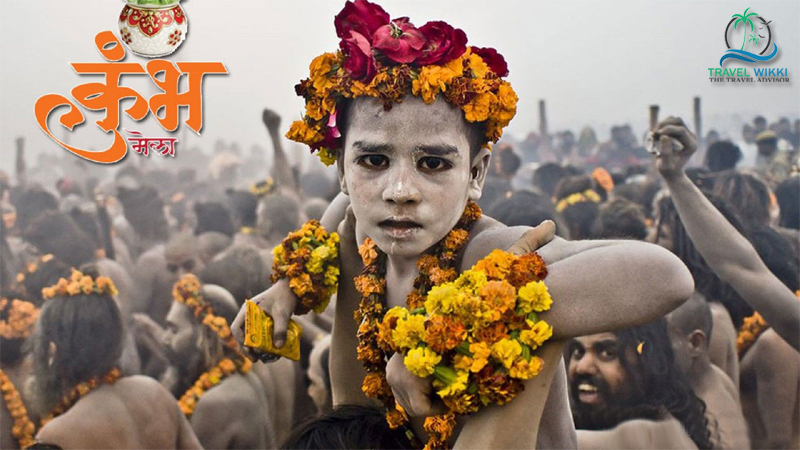 The official website of Prayag Kumbh Mela which is also called as Prayagraj Kumbh Mela 2019 can help you for collecting further information. Attractive packages are available to get a chance in Shahi Snan. What Actually Kumbh Mela Resemble? Kumbh Mela is one of the most important celebrations for Hindus as the Shahi snan which means bath into the river welcome good fortune and blessed life ahead. This year Ardh Kumbh Mela is celebrating at Allahabad which comes after 6 years when Jupiter is in Aries or Taurus and Sun and Moon are in Capricorn during the Hindu month of Magha. The winter season doesn’t appear as a barrier for people as the beliefs and faith drag them into the water which resembles insane. Also Read : Which is the Best Place To Celebrate Christmas in India? You can’t measure the level of devotion that comes after attending the fair until you become a part of it. Allahabad Kumbh Mela 2019 logo comes with a meaning that clarifies the importance of Kumbh Mela within so many other festivals or rituals. Here the meaning is visualized in a complete manner so that can understand the inner peace hides within Kumbh Mela. Maha Kumbh Mela 2019 dates are mentioned above to make you aware of the celebration that will on 4th March 2019. Every Kumbh Mela is special in its own significance but Purna Kumbh and Maha Kumbh is something that people waited for a long time. Four holy places are marked as the secret to celebrate Kumbh Mela where river Ganga in Haridwar, Godavari in Nasik, Kshipra in Ujjain and Sangam (confluence of Ganga, Yamuna, and mythical Saraswati) in Allahabad (Prayag) are centers of attraction for millions of devotees and spiritual people.